Fruit | I Am Not A Restaurant! Brief but meaningful. 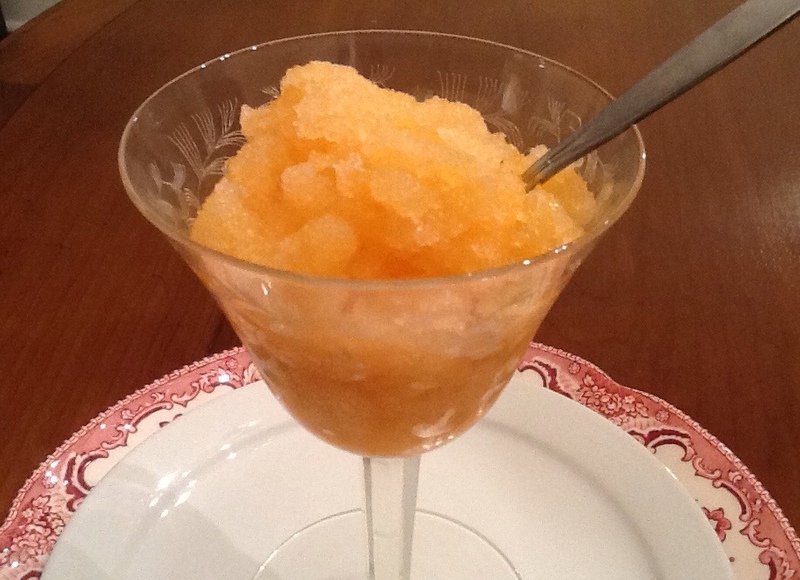 Take unloved fruit (melon, pineapple, citrus, stone), purée with 2-3 tablespoons sugar, add a shot of citrus. Taste, adjust.Park in the freezer in shallow dish. Scrape with a fork, from the outside towards the center every 30 minutes for a couple of hours. FYI if it freezes too hard, let it sit counter top for 15 minutes. Then scrape again.